CODY JOHNSON MAKES CAREER DEBUT ON SIRIUSXM “WITH YOU I AM” REACHES #1 ON SIRIUSXM’S “ON THE HORIZON” PLAYLIST. JOHNSON LEADS THE PACK FOR THE BOOT’S ALBUM OF THE MONTH FOR AUGUST 2016 Indie sensation Cody Johnson is scheduled to release his highly anticipated studio album GOTTA BE ME next Friday, August 5. Johnson continues to blaze a trail, topping the SiriusXM “On The Horizon” playlist. After making his career debut on the playlist just two weeks ago, the infectious new single “With You I Am” catapulted to #1. The overwhelming response from listeners was immediate. It’s clear that country fans are hungry for Johnson and his brand of traditional country music. The lead single off of his forthcoming album was co-written by Johnson along with David Lee and Cody’s producer Trent Wilmon. 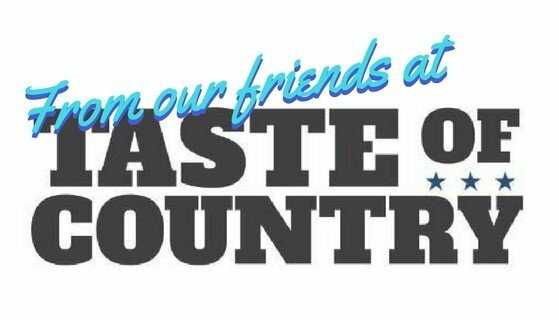 Taste of Country exclusively premiered the lyric video for “With You I Am” just last month, offering fans “a glimpse of the energetic singer’s live show during a song that finds him loving on his wife of eight years.” Watch the impactful lyric video HERE. Johnson’s lead single has also captured early attention from industry veteran Tom Roland at Billboard: “The song [‘With You I Am’] is nicely balanced on several fronts: It matches his ’90s-influenced country with a modern-sounding drum track; it shows plenty of vocal restraint until the last run-through of the chorus, when Johnson goes full-throttle with conviction; and it delivers a female-friendly romantic message in a way that guys can relate to as well.” Read the full Billboard “Makin’ Tracks” story HERE. This week, Johnson holds the lead spot again for The Boot’s Album of the Month, ahead of superstars and icons including Florida Georgia Line, Darius Rucker and Dolly Parton. Fans can vote HERE through JULY 31 at 11:59 p.m. ET. Pre-order Cody Johnson’s new album GOTTA BE ME HERE.